Dubai, UAE, Sunday, May 13, 2018: Swissôtel Al Ghurair and Swissôtel Living Al Ghurair, the twin properties connected through Al Ghurair Centre shopping mall, has appointed Maria Fe Rusiana Cerchi as the Director of Recreation and Spa – to strengthen the leadership in its recreational offering. The appointment will help Swissôtel Al Ghurair boost the UAE’s spa industry, estimated to be valued at Dh1.7 billion ($460 million) in 2017, and is expected to top Dh1.85 billion ($500 million) by 2020, according to Colliers International – a global real estate advisory. Colliers also revealed the Dubai hotel spa market continues to experience increasing demand with a 9 percent increase in the number of treatments sold daily in the first half of 2016 compared to the same period in 2015. The UAE accounts for 14 percent of the MENA spa market, said Colliers Experiential Travel Series in a report which added that Morocco, Tunisia and Jordan were also prominent players in the regional market. It said wellness trips in the UAE have grown by 17.9 percent over the past five years, while overall tourism has grown 8.1 percent. Swissôtel Al Ghurair will boost the $8.3 billion wellness industry in the Middle East/North Africa (MENA). 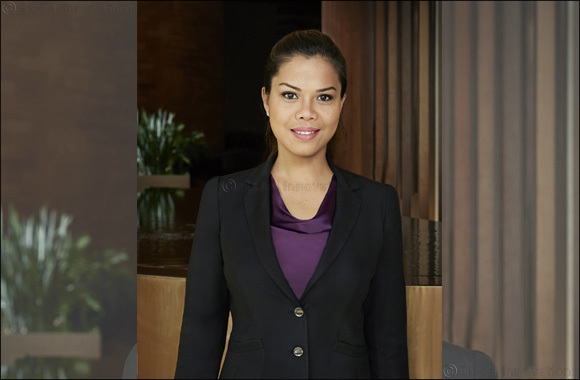 Maria Fe Rusiana Cerchi, Director of Recreation and Spa, will serve a growing number of hotel guests checking in to 428 rooms and 192 apartments at Swissôtel Al Ghurair and Swissôtel Living Al Ghurair and help attract more and more leisure and business travellers. The Recreation and Spa at Swissôtel Al Ghurair and Swissôtel Living Al Ghurair is one of the best spa facilities in downtown Deira – a business and residential district – at the heart of Dubai’s traditional heartland, where such facilities are rare. Dubai has more than 225 spas currently in operation, and will see more openings as developers plan to add 40,000 hotel rooms in Dubai by 2020. Maria Fe Rusiana Cerchi brings more than 10 years of wellness experience in the hospitality industry within leading brands such as Al Habtoor Group, Mövenpick Hotels and Resorts and Rotana Hotels and Resorts. Cerchi began her career in the Philippines as a skin and figure consultant, where she was promoted to Spa and Fitness Sales Manager. It was in this role, that she was selected to run a large chain of independent wellness recreation centers in the Philippines, managing over 5,000 members in her capacity as Centre Manager. With several accomplishments under her belt, she moved to Dubai and took on several roles within leading hospitality groups such as Mövenpick Hotels and Resorts and Rotana Hotels and Resorts. Notable achievements include being nominated and shortlisted as Fitness & Spa Person of the Year at the 2016 Hotelier Middle East Awards and whilst at Amwaj Rotana, successfully launching the JBR Runner’s Club for two consecutive years, which engaged the local community and gained strong followers. These experiences paved the way for her current role as Director of Recreation and Spa of Swissôtel Al Ghurair, Dubai. Cerchi is a passionate advocate for the brand’s Vitality philosophy and has introduced various wellness activities and experiences to the property. Cerchi is a dedicated supporter of the ‘Swissness’ culture at Al Ghurair, which is reflected in the consistent service and genuine care for guest experience.